Wedding on a yacht in Dubai? Oh, yes, it’s possible and you have no idea how ‘easy’ (is it appropriate to use this term in relation to a wedding planning at all? educate me!) it is. Are you guys a couple who has a dire addiction towards doing everything in your own way :)? This idea might be just the right fit then. You might think it is ‘way too expensive’ or ‘too much of a hassle’, but it is not! In fact, it MIGHT end up cheaper than a regular wedding in a mansion with 200 guests. 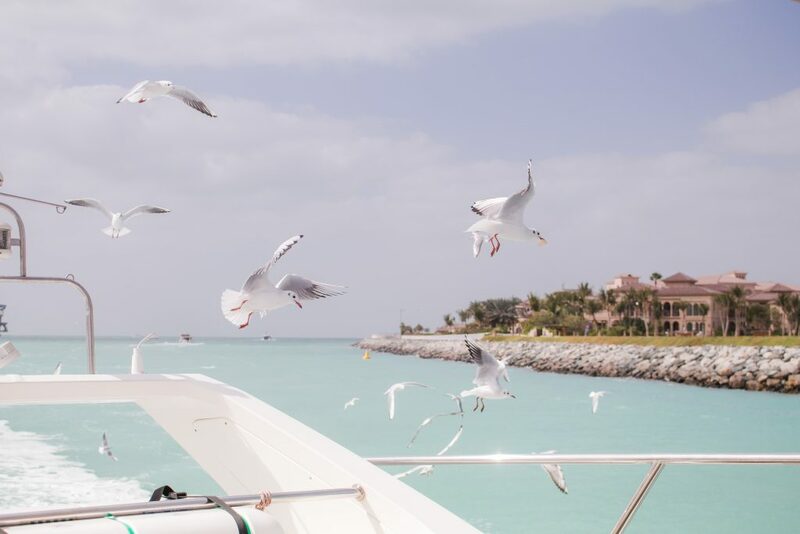 Cozmo Yachts, a rental company from Dubai, is known for its excellence in yacht charter. 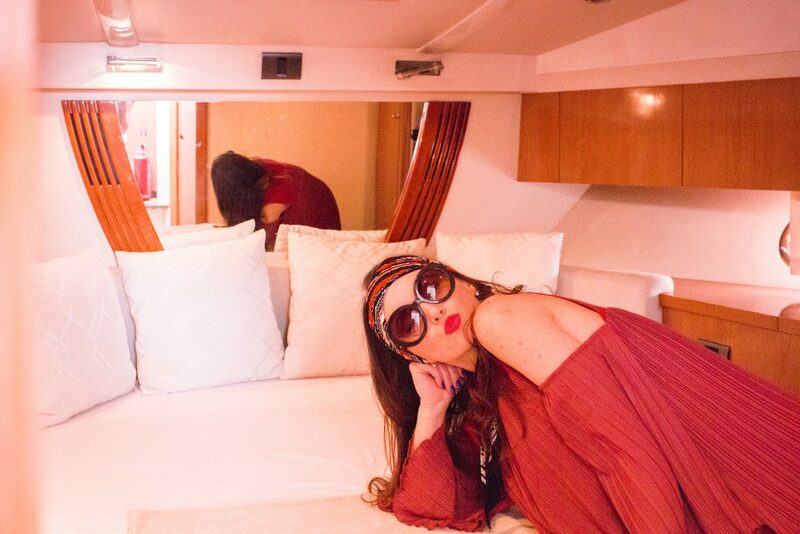 The company offers the whole variety of parties and events to be organized on their boats. I saw one couple coming back from their engagement party while boarding our yacht. They rent the yachts of different capacities from 8 to 65 people, but there are 4 crew members who have to assist you on every event/cruise. There are several airlines, both low-cost and standard, offering flights from the UK, Germany and Poland for around 130-200 EUR return. It might vary, and it will all depend on how long in advance you and your guests book the tickets. The hotel prices depend on your needs and requirements, but keep in mind the prices go up to 50% less week days. Cozmo Yachts don’t necessarily have to be book years in advance, but the sooner the better, so save yourself from stress and book it as soon as you decide. What I find the most convenient is that you can adjust the price to your own needs. You can decide how luxury or how modest you want your ceremony to be, and for how long you wish to sail. I think we would have chosen the party to be around 5/6 hours long. 90 feet luxury yacht, known as Cozmo 75 is AED 1200/ Per hour ( around 280 EUR). The capacity of the yacht is 65 people. Cozmo 55 FT Yacht (Carnevali Italian Yacht) is 900/- AED per hour (around 200 EUR). The capacity of the yacht is 20 people. Cozmo Yachts stuff helps you to organize food, beverages, DJ and decorations, as I was told by one of the owners :We are capable of organizing any kind of private and corporate events on our yachts and we are entertaining such events successfully and have a very good reputation in the market.We can organize different food menus according to the preference of the guests. In we can arrange all event Cakes, Red Carpet welcome on request and any type of decoration which includes balloon, flowers, banners etc. So where are we with costs? As you decide to have a wedding abroad, I would strongly recommend to hire a wedding planner to help you with the difficulties. 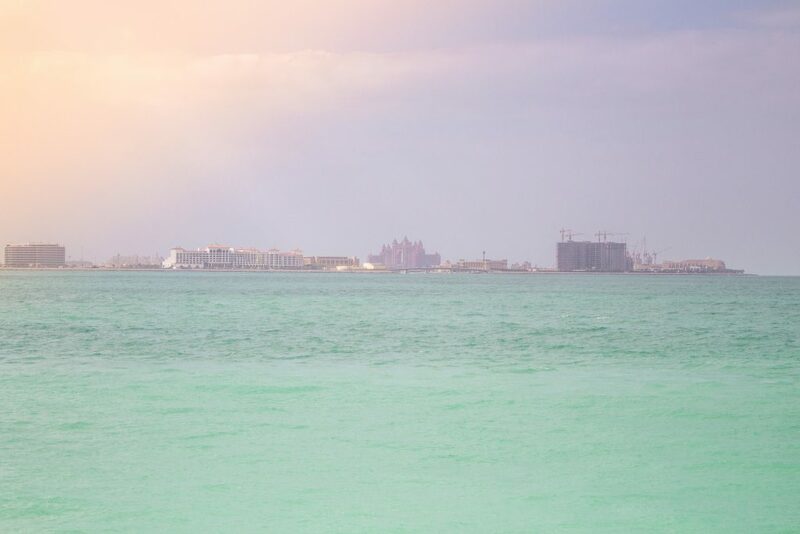 You would then find out you have to be in a possession of a special licence to be able to buy alcohol in UAE ,and that you would have to have a council member on a yacht with you in order to legalize your marriage. Why not to avoid dissapointments? On the last picture with the lovely Cozmo employee, who will undoubtedly help you with choosing the right caters and music for your wedding reception. What? Thats such a cool way to host a wedding! GIRL!! What an amazing Venue!! Love how intimate your wedding will be can’t wait to hear more about your wedding adventures! You look gorgeous in red!! Love your dress babe!! Wow das ist ja mal genial, super coole Idee einfach und wunderbare Bilder! I love dubai, is my favorite place in the world!! This would be such an amazing experience! What an amazing idea! 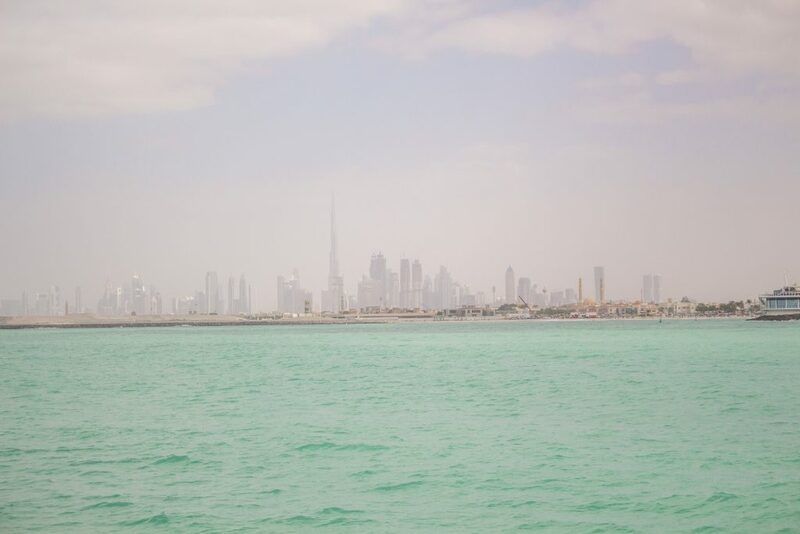 Dubai is such a beautiful place and to marry on a yacht makes it very special. This is a fantastic idea for a wedding! 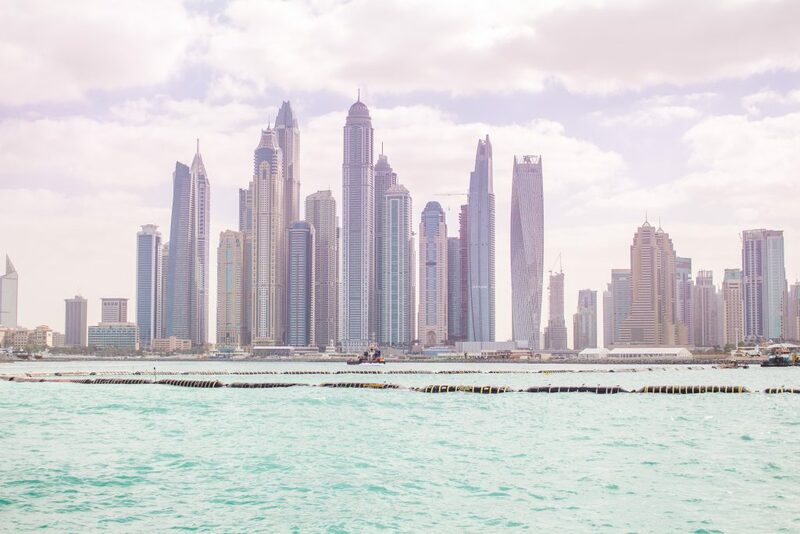 The skyline of Dubai looks amazing! Thanks for the tips. That would be GOALS!! so cool! Wow! This is incredible. What a unique idea!!! I’m loving your pictures – stunning red dress. Hmm, I have never thought about this option. Honestly, I am not much of a wedding fan myself and would like to have a small get together as well, while still keeping it fancy and special enough. And this might be a good option. Good inspiration, thanks for sharing and love your pictures! This is such a beautiful venue! I can only imagine how stunning the views were from the yacht! What a fun idea a wedding. It would make for great pictures. I love the idea to keep this smaller, but memorable, in a beautiful location. I’ve been married 25+ years, and I can tell you, so something you love with your soon-to-be spouse, the rest will take care of itself!! Awesome! Now all i need is a boyfriend ? That sounds amazing! It would be a great way to host an unforgettable wedding! Haha you’d have to have a super yacht to have a wedding on a yacht, luckily Dubai has plenty of then! Great post! I would have never thought of having a wedding on a yacht. Great idea! 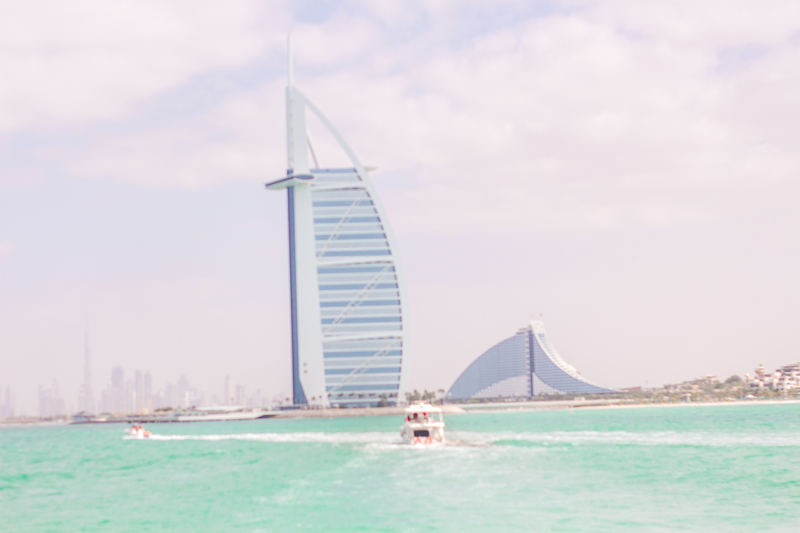 Wedding on a yacht in Dubai sounds like a dream! This looks so luxe, I love it! Omg I would love to have my wedding on a yacht — that would be so much fun!! Love all of your photos girly! I like all pictures. Fnatastic places. Pingback: Getting married in Greece? Consider Thraki!